What are you leaving behind in your HVAC system? HVAC preventative maintenance plans are all about meeting the needs of the HVAC system, so it can perform effectively and efficiently. In doing this, clients save money by keeping their power bills down and extending the life of the air handling unit. In most instances, maintenance involves: changing air filters, inspecting and adjusting belts and blowers, cleaning coils and condensate drip pans, checking thermostats, and making sure economizer dampers are working properly. Even if you do all that, you could be missing one crucial step, a step that could knock you out of work for a week. Without sanitizing your condenser and evaporative coils, you can easily get sick from contaminants in the air. What kind of contaminants? We’re talking about mold. Mold spore growth in HVAC systems is a perfect example of why our product, Fast Attack, exists. Just cleaning the system won’t keep mold from developing. The system must be sanitized to prevent mold spores from growing in the HVAC system, which for mold spores, is an ideal growing environment. Learn more about our Fast Attack solution today by giving us a call. We’d love to talk with you about what you could be leaving behind. 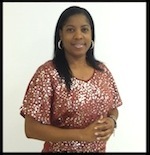 Shandi Maddox is a Corporate Client Services Representative at Controlled Release Technologies, Inc., a research, development and manufacturing firm based in Shelby, N.C. Contact Shandi at our toll free number: 1-800-766-9057 or via email: shandi@cleanac.com. CRT is a manufacturer of independently-certified Green products for HVAC maintenance. Since 1986, CRT has been creating leading edge HVAC maintenance products that have become industry standards, used in thousands of commercial buildings world-wide. CRT employees are members of ASHRAE, and the American Chemical Society. Visit us at www.cleanac.com. What is the importance of having or providing a clean HVAC System by using the Clean AC Kit? Just to name a few. For an individual: Yours & your families health, the quality of your air and heat, and a lower power bill. As well as, only one cleaning service call for an entire year. For a contractor: Happy clients, less service calls (if you do service contracts), quality control, and quick service. For a building owner or facility manager: Happy, healthy tenants, not to mention the lower guest complaints because of the clean air quality. As well as, lower energy costs. Not only does it provide the things listed above but it will extend the life of your HVAC unit if used annually. The Clean AC Kit is beneficial to you whether you are a home owner like me, a building owner – facility manager, or you are a contractor. 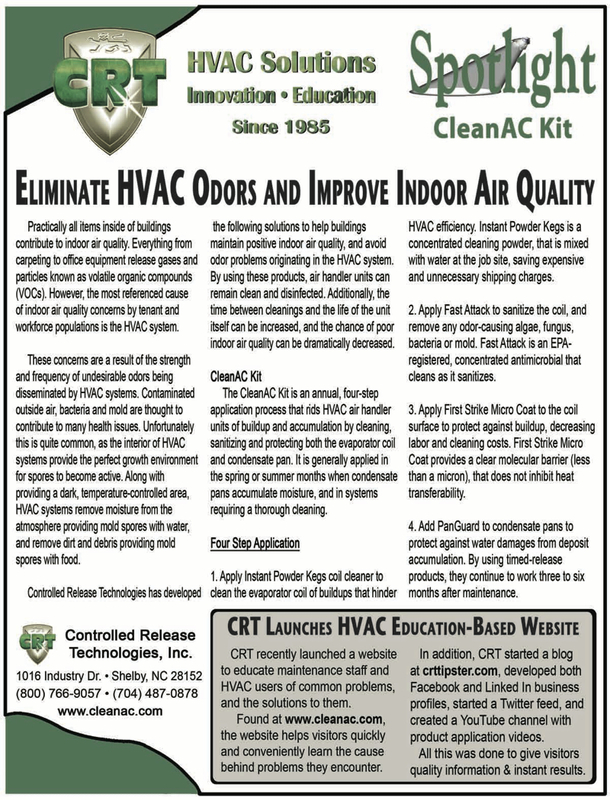 Please see the attached for info on our kit to HVAC success.